To use it is simple. 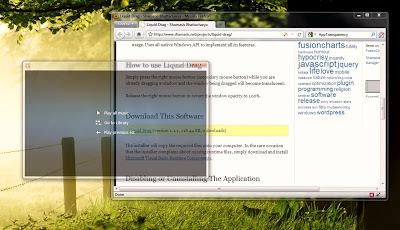 Just start moving your window normally by dragging using the left mouse button. While you are dragging, press the right mouse button at the same time so the window being dragged will become translucent. 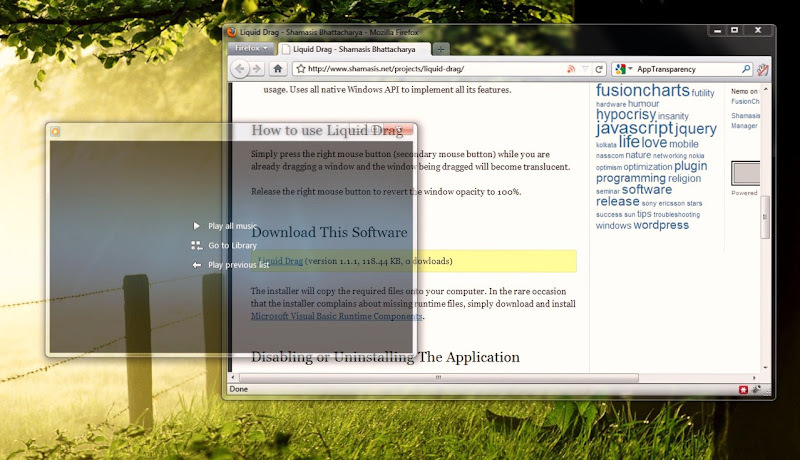 Releasing the right mouse button will restore the window opacity to normal. It works on Windows 2K, XP, Vista and Windows 7. I tested it on Windows 7.